The Congress party on Monday launched a scathing attack on the Bharatiya Janata Party (BJP) after a video of Godda Member of Parliament (MP) Nishikant Dubey, letting a party worker wash his feet surfaced on media. The BJP MP drew flak after the party worker, Pawan washed the parliamentarian's feet and drank the used water thereafter. 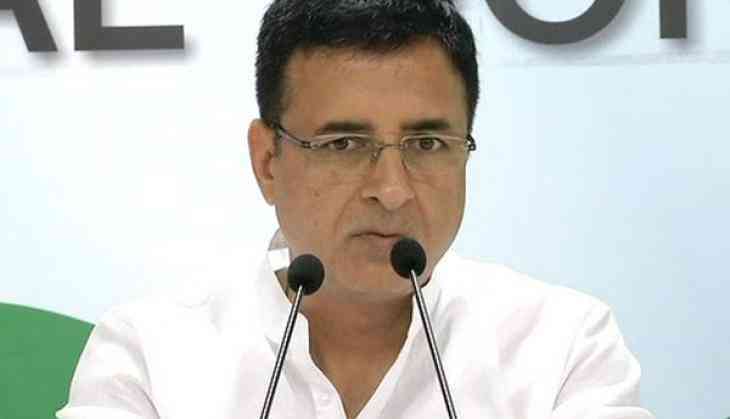 Speaking to ANI over the incident, Congress spokesperson Randeep Surjewala demanded action against the Dubey and said, "The arrogance of the ilk of BJP leaders like Nishikant Dubey who are habitual offenders of insulting others, of breaking the tradition and of self-prophesying a God-like status for themselves, is now out in open." "Has the arrogance of BJP leaders reached such a zenith that now they want their Karyakartas and common people to wash their feet and drink that water? Is it even humane in the 21st century?," he added. Raising question over the culture and ethics of the BJP, Surjewala said, "Is this the culture and ethics of the BJP that Prime Minister Narendra Modi and BJP president Amit Shah speak about? Will they take action against Dubey. If they will not take action then it will be proved that it is with active support and connivance of Prime Minister and BJP president that such elements like Nishikant Dubey continue to profess inhumane and insulting practices in today's world." The incident took place on Sunday when the MP visited Kanhavara village of his constituency to announce the construction of a bridge.